How to Oxidize Brass. For years, we have been polishing and shining brass ornaments - a never-ending job. Well, those days are over! The new look in home decorating is antique brass. Now the rich patina that brass acquires naturally over time can be achieved instantly by following these simple steps. 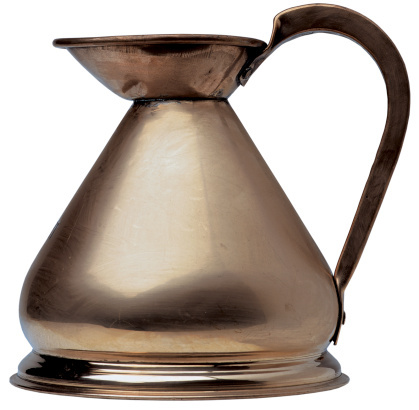 Remove any protective varnish from the surface of the brass with acetone or varnish remover or, if the item is small, by boiling it for a few minutes in water. Brush vinegar over the entire surface of the item. Brass will oxidize in a very short time using this method. Alternatively, paint the surface of the brass with saltwater. This method will take a little more time than the vinegar, but the finished effect will be one of antiquity.